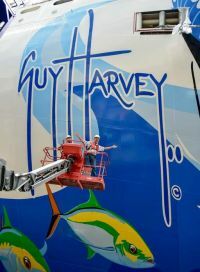 Famed marine wildlife artist Guy Harvey laid eyes upon his hull artwork on the new Norwegian Escape for the first time this week. The ships debuts this November in Miami. 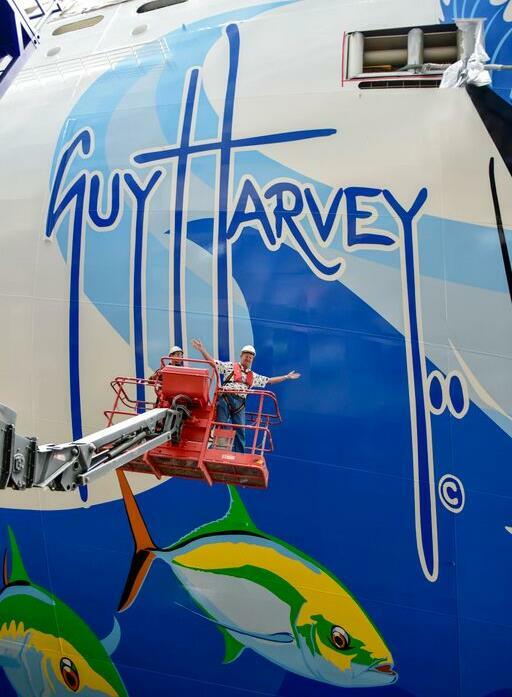 The ship yard visit took place as Harvey’s artwork is now beginning to take shape, bringing to life his perspective of the spectacular Caribbean marine life on the expansive canvas of Norwegian Escape’s hull. 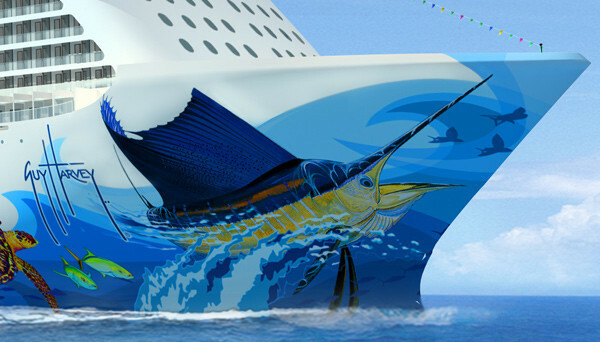 Spanning more than 1,000 feet in length from bow to stern, the custom-designed artwork features a scene of marine wildlife which blends two underwater seas seamlessly together. Featuring Harvey’s signature sailfish, the design also showcases key Caribbean sea life including sting rays, sea turtles, whale sharks and a variety of tropical fish. “I’m so proud to showcase the incredible marine life of the Caribbean on the largest canvas a human could possibly paint,” said Dr. Guy Harvey. “After weeks of work, the artisans at Meyer Werft have done an incredible job of recreating my art on such a vast format. The process of creating the artwork is a lengthy one, beginning with a laser that projects the design onto the hull. A team then outlines the art onto the curved hull, pencilling in the lines and then taping the edges in preparation for applying the paint by hand. “We had great expectations for this artwork, which reflects the marine life of the spectacular waters on which this ship will sail,” said Andy Stuart, president and chief operating officer of Norwegian Cruise Line. 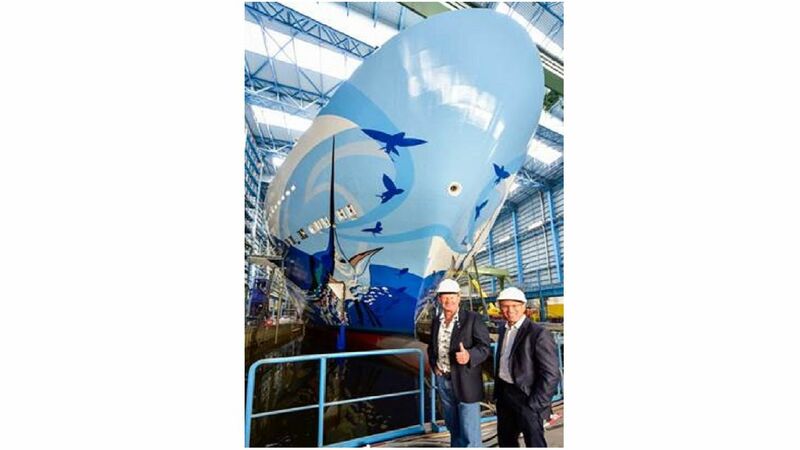 “Guy’s vision for Norwegian Escape’s signature artwork is the perfect complement to everything this ship stands for. Costa Cruises has overhauled the menus on its ships, creating 14 regional Italian lunch and dinner menus and 252 new dishes. Examples include Gricia-style rigatoni pasta with jowl bacon and Pecorino Romano cheese cream (from the Lazio region) and golden fried breaded pork cordon bleu with potato croquettes and grilled tomato (from the Friuli region). “We chose the recipes that truly represent the tastes and aromas of Italian history and culture, creating a real culinary voyage through 14 different regions that’s based on the itinerary of each ship,” said Filippo Bertuzzi, Costa’s corporate director, food and beverage operations. The new menus are part of Costa’s “Italy’s Finest” campaign — an effort to focus more on Italian cuisine by partnering with food and beverage brands such as Barilla, Illy Caffé and Ferrari wines. Throughout the last several years of seemingly unstoppable growth in the river cruise market, ocean cruise lines have resisted getting in on the river action, a segment of the cruise market that, while clearly very popular, represents entirely different economics of scale (in other words, much lower passenger volumes) than ocean cruising. So when Crystal Cruises announced a massive expansion initiative, including plans for two new river cruise vessels, it effectively became the first ocean line to cross into the river world. Until the Crystal announcement, the only significant crossover in Europe had been in the opposite direction: river cruise heavyweight Viking Cruises launched its first ocean-going vessel this year (there are several smaller scale examples, such as Haimark, which has both river cruise vessels and a coastal cruise vessel, as well as the now-defunct Peter Deilmann Cruises and Cruise West, both of which dabbled in river and coastal cruising). And Crystal has been involved on the rivers before, via a marketing partnership with AmaWaterways. Looking at all of this, should river cruise lines be somewhat nervous? 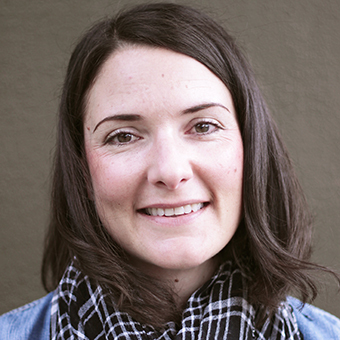 Could Crystal entering the river cruise business put a dent into the all the hard work they’ve put into creating, growing and developing the market these past years? Well, Crystal still has to fit those plans into the same 38-by-410-foot dimensions that all river cruise vessels are limited to, due to the locks and bridges along Europe’s inland waterways. In that regard, Crystal will be up against the same innovation challenges the river lines have been grappling with through these growth years: how to maximize space and onboard offerings when square footage is so limited. Additionally, for now at least, it’s only talking about two vessels, a tiny fraction of the overall river cruise inventory in Europe. 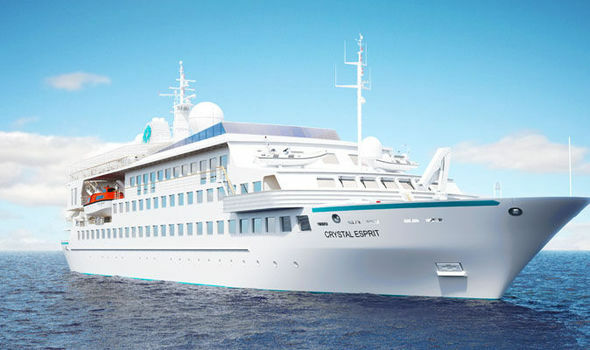 But under its new ownership of Genting Hong Kong, which clearly has ambitious plans for the company, Crystal could have enough resources at its fingertips to at least make some waves in the river cruise market, both from a hardware as well as from a marketing point of view. So, all told, surely the highly competitive river cruise industry has its eye on Crystal’s plans, but I doubt they are shaking in their boots quite yet.